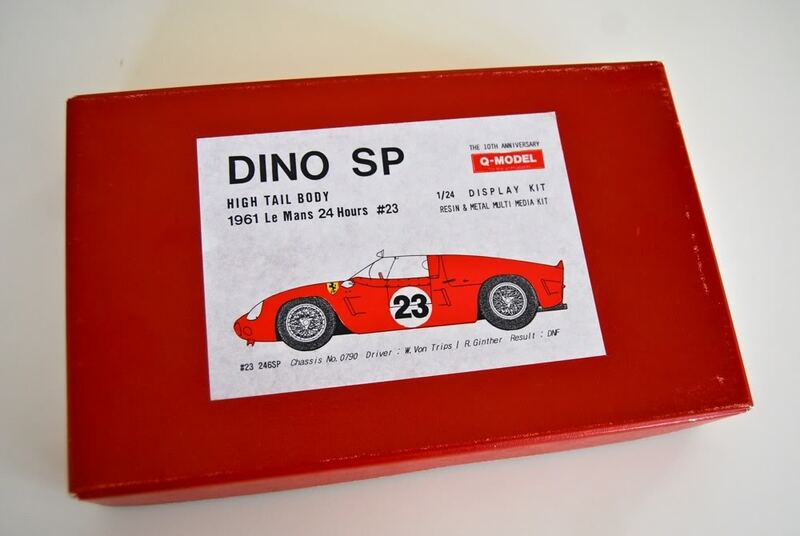 Today we look into Q-Model Ferrari DINO 246 SP High Tail kit, a car that raced at 1961 Le Man under #23 (chassis 0790), driven by Wolfgang von Trips and Richie Ginther, but failed to finish the race. By the time this kit was released, Q-Model of Japan was one of the most established and well-known cottage industry manufacturers. In fact, this kit is an anniversary release - to celebrate 10 years of Q-Model. 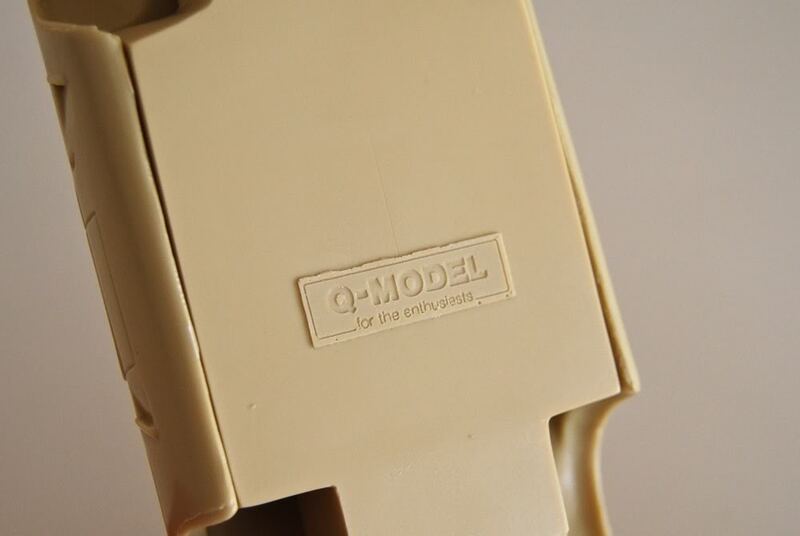 There is no release date on the kit, but it was made sometimes in early/mid-1990s. 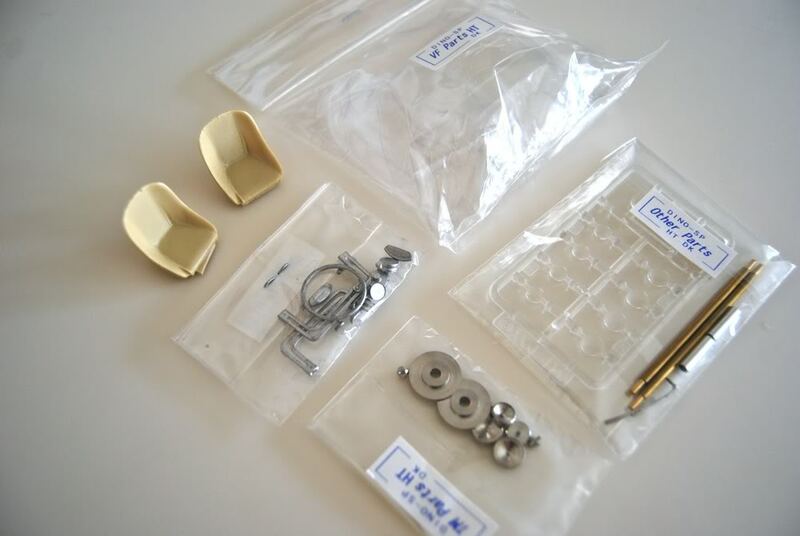 By that time Q-model has already released several very accurate and high quality Ferrari resin kits. Most of them were full detail, very advanced models. This kit was a simple curbside, but superb nonetheless. 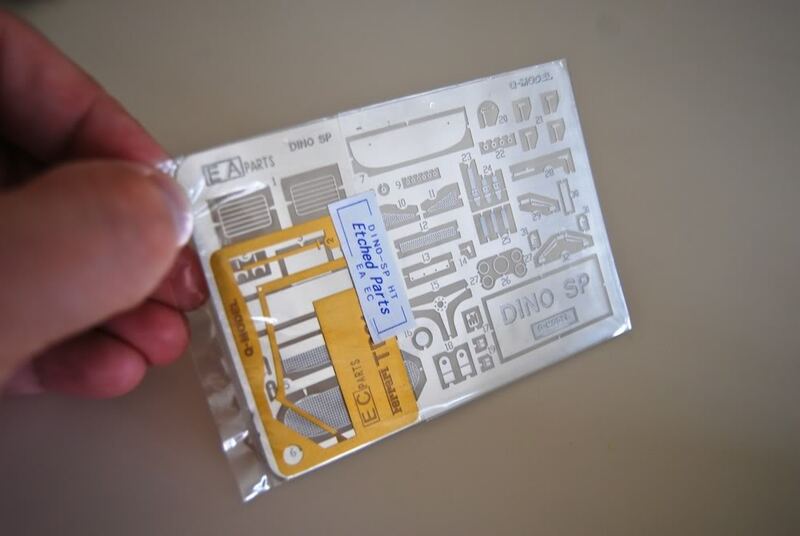 Clean and crisp castings, excellent photoetch, superb decals, very clean white metal parts, great packaging and clear instructions all made this into one terrific kit. The price was high too, and as a result, only few copies were made and sold. By my estimates, there were somewhere between 50 and 150 copies made. Since there is no price on the box, I can only guess what it sold for originally, but if one would exchange hands right now, the price would probably be somewhere north of $400-450. I have obtained this kit from a private collection about 6 years ago, and have not seen another one for sale since. 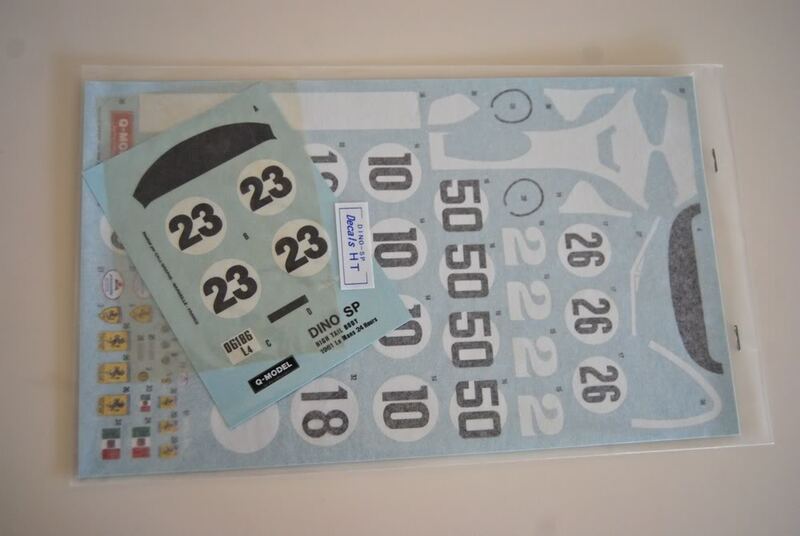 Great decals were printed by Cartograf, and include various numbers and markings for several different cars, and look correct. Colors are excellent, decals are thin and perfectly registered. 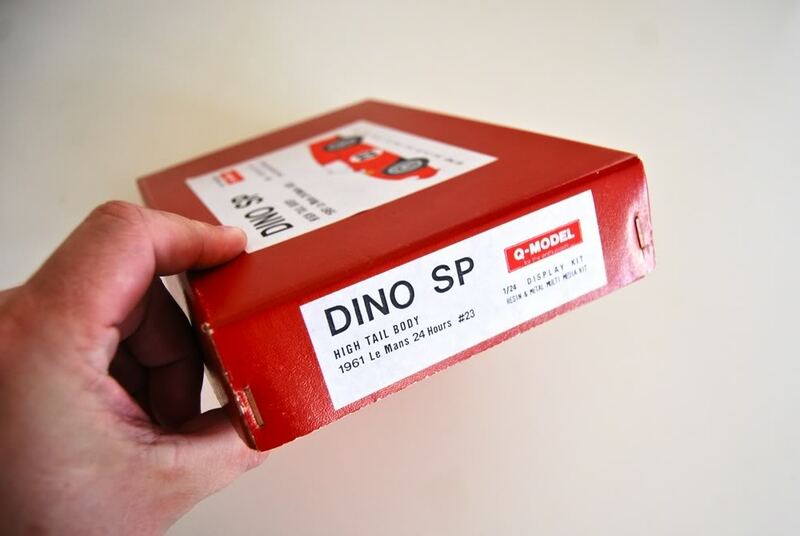 Superb packaging helped keep them as new for so many years. 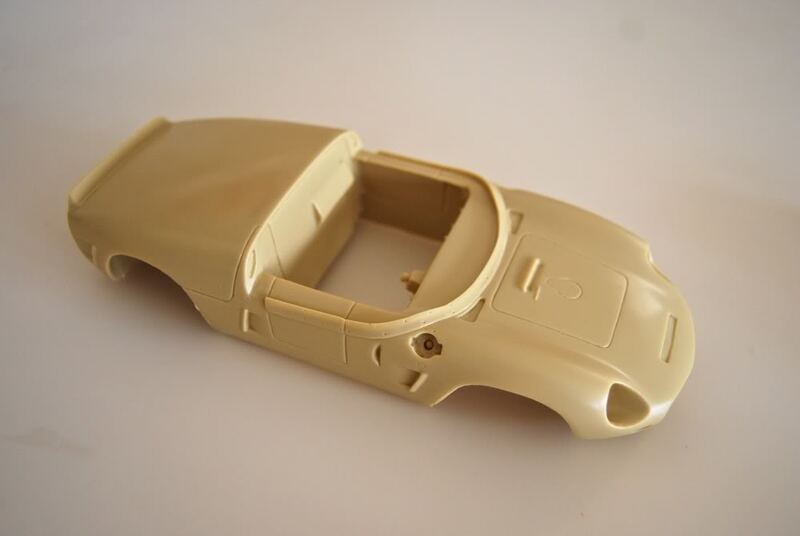 Body and chassis castings are very simple, with lots of molded-on detail, but still very clean and nicely done. 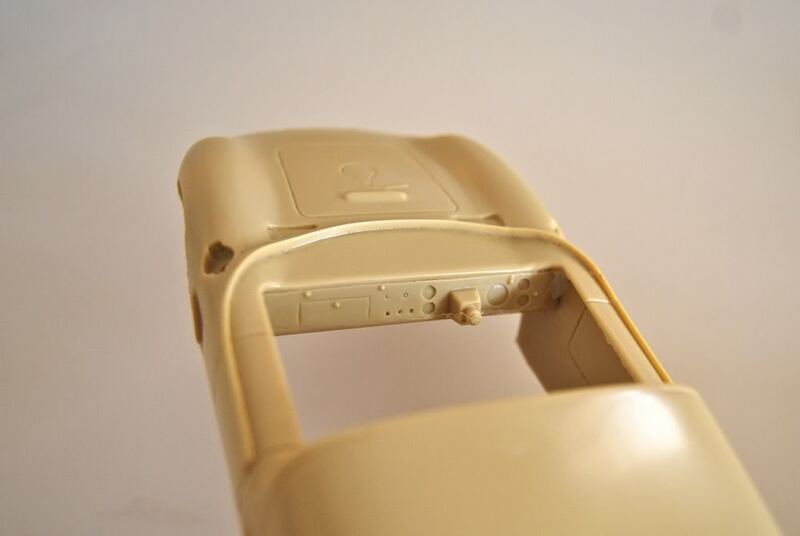 Chassis is simple plate with no suspension detail whatsoever. No engine or drivetrain detail either. But what's there done right. Two photoetched sheets contain various small details, badges and all the usual stuff. Photoetch is really nicely done. I also like their packaging - everything is neat and clearly marked. 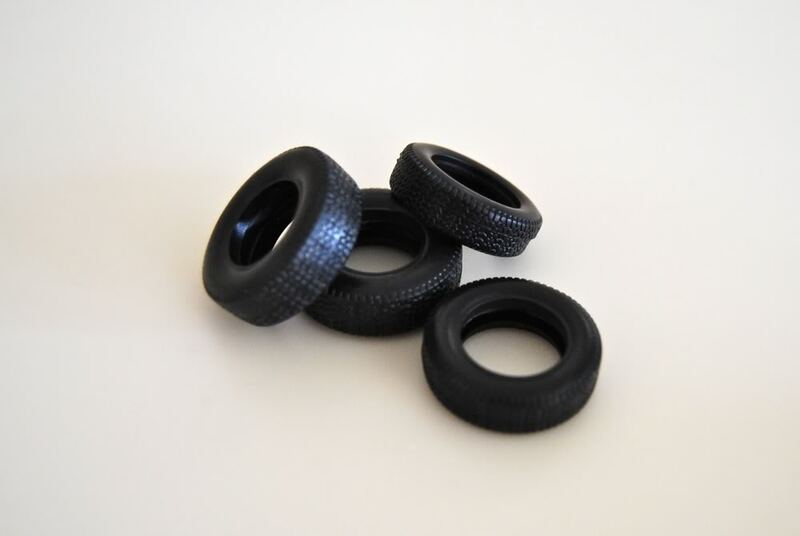 Wheels are a piece of art: tires are still soft, and threads are accurate, but have some casting flaws. Easily fixed. 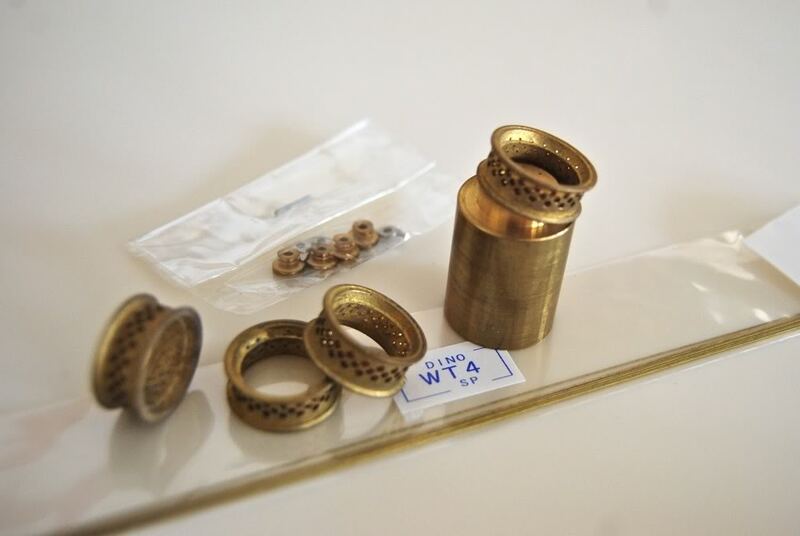 But the real gem are the rims - they are made spoke-by-spoke on a special jig that is provided in the kit! 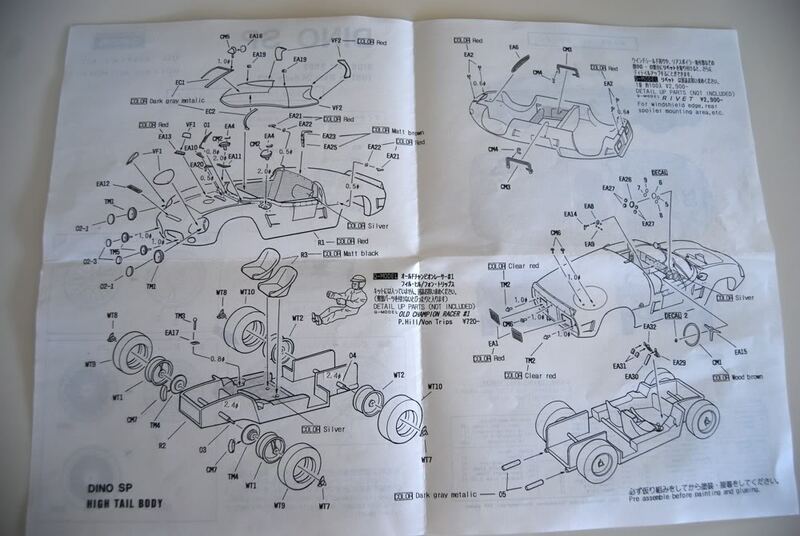 There are also the rest of the parts - windows, seats, brake detail, exhausts, and finally interior and chassis bits and pieces. Everything is neatly packaged and labeled. 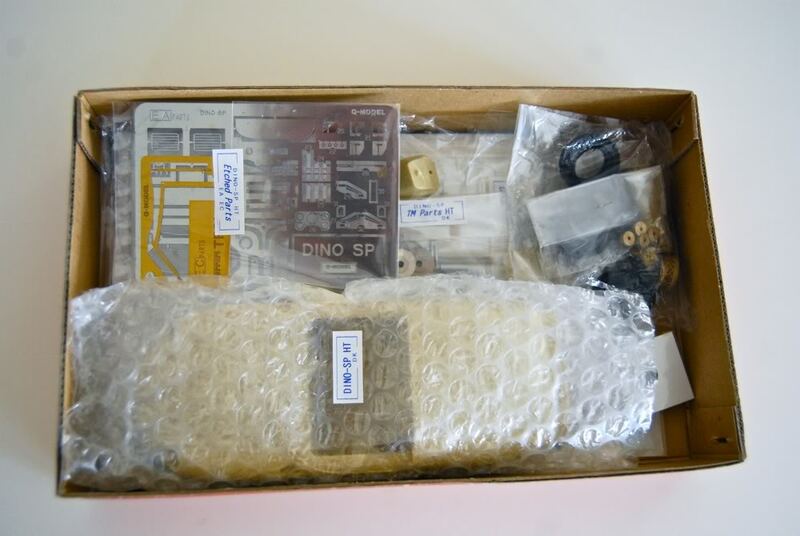 Turned parts are superb, and various materials used makes the kit feel "expensive"! 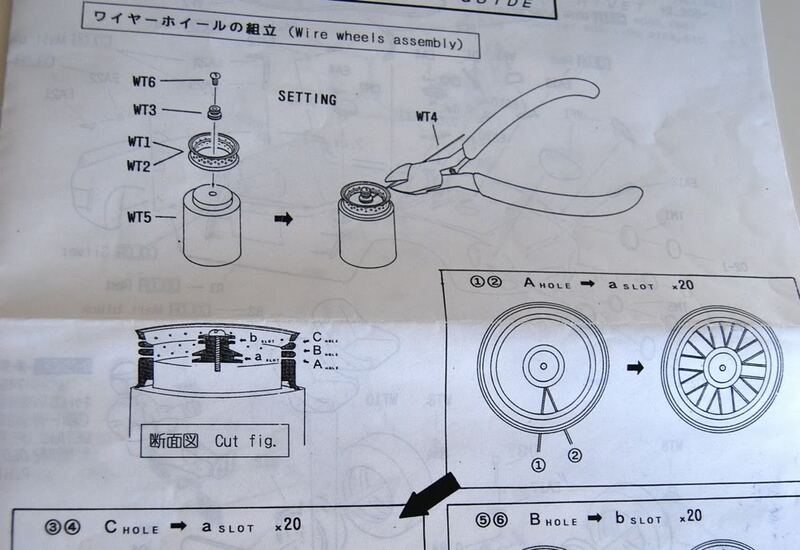 Instructions are excellent, and even thought most of them are in Japanese, they are very clear and easy to follow. Hope you enjoyed looking at some "unobtainium"!